I followed Stephen's site during the year of the making of the videos that make up these discs. Truly outstanding material, taught comprehensively. $25 is an absolute steal for this well-produced set. Even though I already had the material downloaded from the now defunct site, I was more than happy to purchase this set at full price, when it was first released. I paid full price and thought it was worth it. So this is a great deal. I must have missed the deal. It shows that the cost is $50. FWIW... $50 is still a great deal. There's so much material on these discs (not to mention the accompanying booklet). Actually... 7 DVDs and a 190 page booklet. And... Stephen donated all of his profits to Vanishing Inc.'s young magicians charity, sending kids to magic camp and supporting the development of a close-up theater for young performers in South Africa. Gentlemen and lady, I just spoke with Howard, the owner of magic warehouse. It’s a brick-and-mortar store in Maryland. I told him about the forum and he just put the toolbox back on sale at 25 bucks Again. He is also preparing to launch a huge sale on Monday... over 2000 items. If you’re interested in the technical toolbox, I wouldn’t wait till Monday. Howard says he has just a few left. I encouraged him to check out the forum and hopefully he will be joining us here shortly. Evan... Thank you for that information about Stephen Hobbs. I had no idea about his very generous donation. Other than the fact he spells the word “Steven” incorrectly, he sure is an awesome guy! Thank you Stevie. Although I promised no more purchases this month, between the very generous discount and the money being donated, I have just purchased the set. I second the vote for the value of the tool box. Very good stuff. At $25 it's a no-brainer. When I saw this post, I ordered them and they were promptly shipped. Since I retired, I generally convert and DVDs to iso's and put away the originals for backup. Disks like this need to be in iso format to maintain the menu functionality. Anyway, I gradually got through the first 2 disks after dealing with several unreadable spots and then the 3rd disk was totally blank. I notified Howard and he sent replacements for those three (I had quit trying at that point). When the 3 new disks arrived, they were individually shrink wrapped. The first set were just in unwrapped cardboard covers. All three desks converted perfectly. I then noticed there was a major difference in the 2 sets. 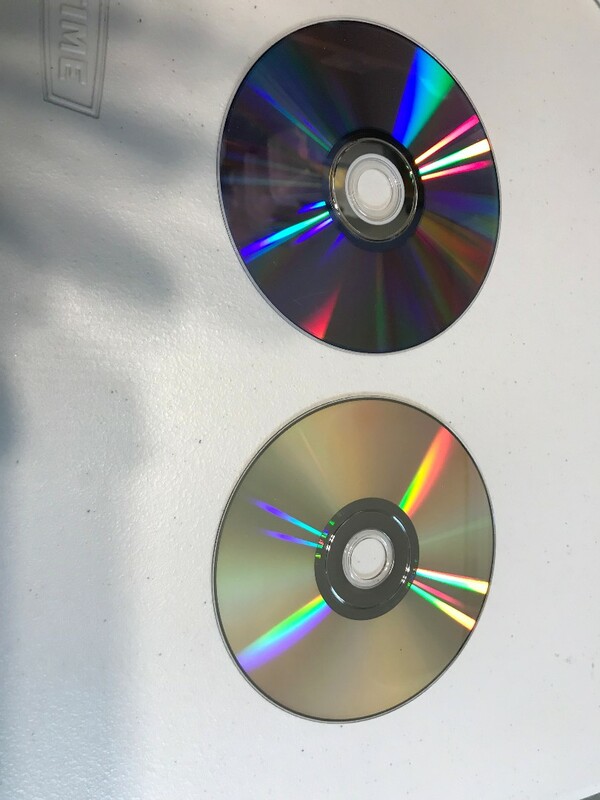 The second disks were standard pressed disks, but the first were Ritek DVD-R disks. The fronts of the second set were factory printed and the others inkjet. It appeared that I had gotten a counterfeit set. I notified Vanishing Inc. and was told they sometimes make additional copies when they run out and these were authorized disks. Unfortunately, they had no more good disks and I'm just screwed. Disappointed to say the least in VI. Just for completeness, here's an example from each set. Send me a PM. I may have a solution woth trying. I remember following this along weekly, and thoroughly enjoyed it. There are a number of things I adopted and now use regularly. Stephen gave me permission to download the videos from his site, however I bought the DVD set as soon as it was released. I'd love to see Stephen or someone else do a similar project. It also occurs to me that it might be fun, for anyone who has the toolbox, to go through each week and discuss the ideas shared. I'd just like to say without reservation that this is the best and most practically useful purchase I have ever made it card magic (and I've made some good ones over the years). There are so many great ideas that I will definitely put into regular practice. Worth much more than I paid. It's a true masterclass in simple direct card techniques.